ESL program descriptions, salary and benefit breakdowns, job requirements, and articles on life in China are all phenomenal resources to turn to while researching your big idea to teach English in China. We recommend consulting as many resources about teaching and living in your ideal country as you can. Thorough research will help you make informed decisions during your pre-departure phase, and will certainly continue to help you when your boots are on the ground overseas. But of course, you won’t be able to read, watch, and listen to everything that’s out there. So if there’s one type of resource that you should most definitely seek out, it should be the one that really tells you what it’s like to teach in the country you want to go to: first-hand information from someone who has done what you want to do. If you’re interested in teaching English in China, this article is that resource for you. One of the placement coordinators at the Teach Away Recruiting Agency, Dave, spent a year abroad teaching English in Guangzhou, China. We were able to find time to chat with him and uncover some details about his experience in a Chinese classroom, learn how he successfully landed his position, and find out how he got where he is now. What were you up to prior to starting your teaching job in China? Before starting my year in China, I’d actually taught in South Korea. I spent four years there. I visited China during my stint in Korea and knew I wanted to live there in the future. I went to art school, so my education wasn’t the easiest to transition into a job. I was also really inspired by my sister and other friends who had taught overseas. My sister taught in Turkey, which sounded like an awesome experience. Teaching was the perfect way to scratch my itch to travel and also save some money at the same time. Speaking of your itch to travel, before teaching abroad, had you ever lived overseas at all? No, before my first time teaching abroad I hadn’t lived overseas at all! I hadn’t done a ton of traveling either. Before teaching in Korea, I think I’d only been overseas once on a trip to Europe with my parents. I had never even visited Asia before moving to South Korea. I still had that urge to travel, though, so I used teaching as a way to travel, live, and work overseas. So, you’d taught in Korea for years and then decided to try China next. Why China? While I was living in Korea, I traveled to Beijing for a few days and absolutely loved it. I knew then that I wanted to explore China and that living and teaching there was the best way to do that. How did you find your English teaching job in China? Through Teach Away. My sister had taught abroad and then worked at Teach Away, so I was familiar with them. To me at the time, Teach Away had a really good reputation, so it was an easy choice. What was the application process like with Teach Away? Really smooth. In about two weeks, I’d applied, had a pre-screen interview with the recruiting agency, had been interviewed by the hiring school in China, and had signed my contract. Super easy compared to the nightmare that was finding my first ESL job in 2010. The ESL job market in China is growing rapidly. What’s changed for candidates since when you applied three years ago? The offers for candidates now are way better than they were when I got hired in 2014. I wasn’t offered flights or housing, but these are pretty common now. Some Explore Program schools are even offering what’s called a “settling in allowance”. Essentially it’s a bonus to help new hires get settled in their new city. Overall, the job market is just way better for candidates looking to save money. One of the most common reasons to seek an overseas ESL job is the opportunity to travel on days off. What are the top three sights to see or places to visit in China? How challenging is the country to navigate for adventure-hungry teachers? 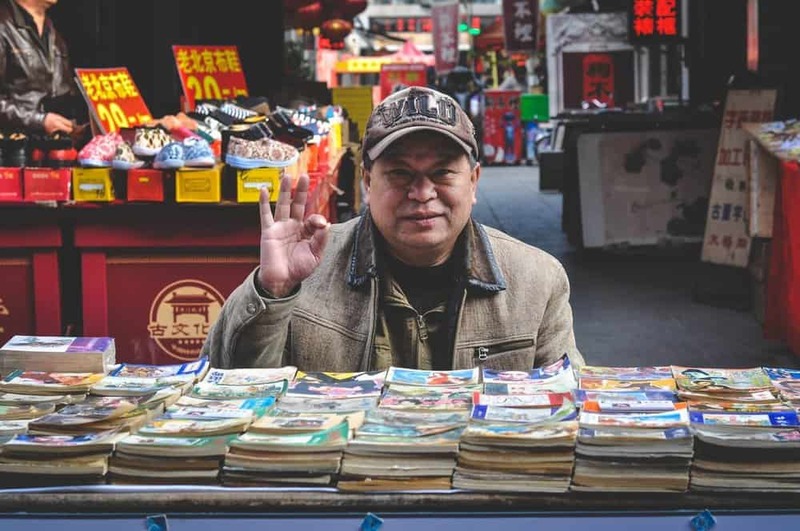 When it comes to traveling China, getting to a new city isn’t tough, although you should be prepared for terminals and stations to be without English signage! Bullet trains connect Guangzhou, Beijing, and Shanghai and actually get you there faster than flying. Rail and bus can get you pretty much anywhere you want to go. What has your professional career been like since finishing your contract in China? After I finished my term in China, I did some traveling in Europe and India. Now I’m working for Teach Away on the Explore Program team helping candidates find jobs teaching English in China. Do you have any advice for someone with a bachelor’s degree who’s considering teaching English abroad? I would say… Do your research. Start reading about places you might want to go. As a new grad with a degree, China is where you’re most likely to get hired. Before I went to China, I did my research. I also knew teachers who had taught in China. I was comfortable going where I was going and it made the transition a lot easier. Get your documents ready. Make sure you have a passport that isn’t expiring anytime soon, get started with acquiring your visa and get a background check done. These are all standard when it comes to getting an ESL job and having them started will only help you get hired and start working when you want to. Be flexible! If you have a country in mind, try to be open with which cities you express interest in. With the Explore Program, for example, hiring schools are located all across the country, so teachers with lists of four cities instead of just one are more likely to get a job. When I got hired in China, I listed four cities and was placed in one of them.